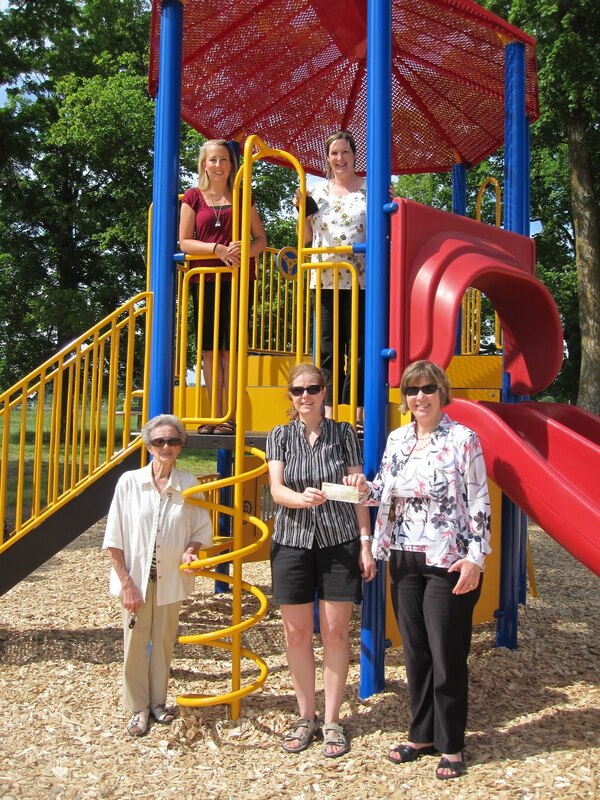 The IODE presented a cheque to Valerie Przybilla on Monday for the new playground. They were the first to get their picture taken in front of the big structure! Thanks again!